The “Sprinkle” This shower is a tiny one, intended for a second, third or fourth child. The gifts may be smaller and more practical. Fewer games and more conversation. Perhaps a simple meal rather than desserts only. Co-ed showers. If you run with a tight group of couples, this shower is for you. The guys are invited, there are grown-up drinks around and when the gifts are opened the guys retire to the game room for a ball game, some pool or a game of cards. Cool party favors. Instead of guests bringing the gifts and going home with a game prize or nothing, add some inventive favors for all the guests to take home. These may follow the theme of the shower, or could be nice items such as guest soaps, small boxes of candy or a nice potted plant. Use e-vite. Skip the hand addressed, snail mail invitations and RSVP’s. Do it all on e-vite and save time and money. You’ll have an accurate head count as well. The Green or Heirloom shower. 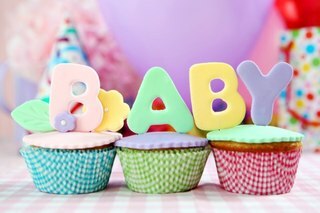 Those leaning toward minimalist thinking will enjoy a baby shower in which all the gifts are gently used or never used. It takes a bit of thought to find something valuable enough to pass along to other moms. The Grandma shower. For first time to be grandmas, this shower is all about preparing Grandma’s home for a baby. 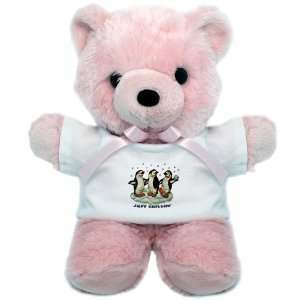 Usually given by grandma’s friends, she gets to open gifts for that already-loved grandchild. Scrapbooking party. Guests bring along scrapbooking supplies to help the new mom put a baby book together. This ties in nicely with homemade gifts such as knitted or crocheted items, homemade quilts and the like. Diaper shower. Diapers. That’s it. Guests bring diapers and earn the chance to put their names in a drawing for a nice prize. Themed showers. The possibilities are endless, but should somehow reflect the personality of the mom to be. The theme might be books, spa gifts, a certain color, a certain kind of toy, etc. A venue away from home. For a no clean-up shower, rent or borrow a facility, perhaps a room at a restaurant and have the event catered. Provide a nice get-away for all the guests and no mess for you. So that’s it. These are the newest trends in showers. It goes without saying that women of all generations love to gather to honor the arrival of a new child into the world. The sky is the limit as you plan your next baby shower or select the next gift to take to one. ← If it’s time for a bib, go glam!